MediaCorp is Singapore's leading media company with the most complete range of platforms, spanning television, radio, newspapers, magazines, movies, digital and out-of-home media. It pioneered the development of Singapore's broadcasting industry, with the broadcast of Radio in 1936 and Television in 1963. Today, MediaCorp has over 50 products and brands in four languages (English, Mandarin, Malay and Tamil), reaching out to all adults in Singapore every week. 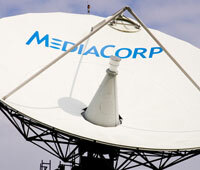 Since the late 1980s, MediaCorp had been using analog microwave link systems for coverage of temporary outdoor broadcasting venues, at events such as sports events, parades and live news crosses. "In those days, fiber links were costly and not readily available anywhere on the island" said Mr. Lim Hwa Meng, Assistant Vice President Operations, Enterprises & Technologies MediaCorp, Pte Ltd.
"I am part of the team that plans and recommends which technology to adopt for the contribution links as part of the MediaCorp technology roadmap," said Mr. Lim. "The microwave link system is an essential wireless solution in any television network stations, and it is critical that it is covered in this roadmap", said Mr. Lim. Analog microwave link technology requires line-of-sight, where both the transmitting and receiving points must visibly see one another for the signal to be successfully transmitted. Consequently, this requires both time and effort to plan for suitable points or venues that are suitable for the transmission to work. Not only does this cost more man hours, in the case of last-minute news breaks, where time is essential, this can be a great setback. Potential opportunities can be lost and productivity also suffers. “This actually takes up a lot of cost and efforts, and definitely it’s not a viable solution when live newsbreak happens, it can happen anywhere, so this is one of the shortfalls that the analog systems face" said Mr. Lim. Analog modulation takes up larger amounts of bandwidth, and cannot support line coding or a digital bit stream when content is digitized and compressed into MPEG coding. In an analog link, one video signal can occupy an entire 20 MHz of bandwidth. The more data that needs to be transmitted, the more bandwidth is required. "For analog, it requires about 10MHz, whereas in digital or other modulation techniques you can actually easily double or quadruple the number of video channels that we can push into this 20MHz. That alone tells us that we have a lot of cost-savings and opportunity there", said Mr. Lim. Analog microwave link technology faces limitations to transmitting clear video images at lower receiving levels. As the receiving level goes down, the quality of the transmitted images gradually degrades.